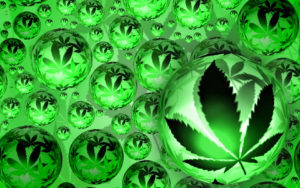 Home › Priority Service › Medical Marijuana and Cancer Treatments: The New Miracle? Medical Marijuana and Cancer Treatments: The New Miracle? Many people believe that marijuana can help control or relieve some of the symptoms of cancer or the side effects of cancer treatments. But research shows that taking marijuana is not a clear cut solution to minimizing the effects of cancer treatment side effects or pain. However there are studies that show that taking cannabinoids may help. Strains are developed to intensify specific characteristics of the plant, or to differentiate the strain for the purposes of marketing or to make it more effective as a drug or treatment. Marijuana contains THC which is a type of cannabinoid but there are many different types of cannaboids. There are at least 113 different cannabinoids isolated from cannabis. Phytocannabinoid tetrahydrocannabinol (THC) and Cannabidiol (CBD) being the two major cannabinoids constituents of the cannabis plant. According to cannabis experts, there are at least 779 known cannabis strains in the world. Some strains have been around for a long time. New strains are developed on a regular basis. Many come and go every day. Most strains can be found at a dispensary somewhere in the world. But the sheer volume of strains also increases the difficulty for researchers to properly study the effects of marijuana. With new strains being developed and new claims being made constantly yet never quite actually confirmed through clinical studies. Research studies are few and far between. And many are still ongoing. 1. Using medical marijuana, drugs containing cannabinoids or both may help you relax and give you a sense of well-being. 2. Several studies have shown that some cannabinoids can relieve nausea, vomiting or both. These are side effects of some cancer treatments, including chemotherapy and radiation therapy. 3. Some people find that medical marijuana can increase their appetite. 4. 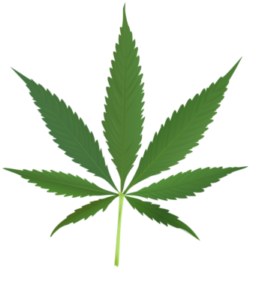 Some people claim that medical marijuana can help relieve long-term (chronic) or severe pain. 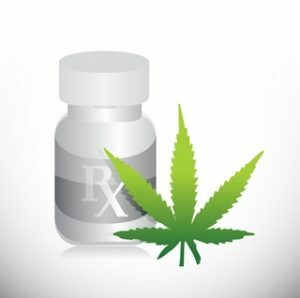 There are a number of cannabis derived medications available today through prescriptions by your doctor. Some are still in the legal approval process. Others are still in development and clinical tests. Used for the treatment of neuropathic pain and spasticity in patients with Multiple Sclerosis (MS); Analgesic treatment in adult patients with advanced cancer who experience moderate to severe pain. Used for the treatment of nausea and vomiting for patients in cancer treatment; appetite stimulant for AIDS patients; analgesic to ease neuropathic pain in multiple sclerosis patients. Used for the treatment of nausea and vomiting in patients undergoing cancer treatment. Is a neuroprotective (protects brain from damage) for use after cardiac surgery; regain memory and other high-level function following Traumatic Brain Injury (TBI); possible future use as an anti-cancer drug. Used for the treatment of spasticity and neuropathic pain in MS patients; anti-inflammatory properties may help relieve pain from arthritis. Synthetic chemical that specifically binds to the brain’s secondary cannabinoid receptor (CB2). Used as an anti-inflammatory; treatment of chronic pain with an emphasis on neuropathic (nerve) pain; bladder control. Used for the treatment of hypertension; anti-inflammatory. Used for the treatment of memory, weight loss, appetite, neurodegeneration, tumor surveillance, analgesia, and inflammation. Used for anti-obesity (appetite reducer). So is Marijuana the new miracle drug? The answer is not simple. With the bulk of research still ongoing and new strains and products in development, we still need to wait to know for sure. But what we know so far is that, yes, marijuana can help in some way. We also know that – like all new products being promoted- it is hard today to differentiate fact from hype.